Writing a compensation proposal is something formal you are writing to the boss, so it has to look very professional also should be attractive at the same time. A compensation proposal is an official document written to seek for the rise in pay. Letters are the best way to ask your boss for an increase in the pay as he or she may get time to look into the request from all spheres. Also writing a proposal letter is less stressful than meeting the boss in person. The professional and the proper format includes the name, title and the address at the top left of the paper. The date should be placed below. The name of the boss should be written with the title and the salutation. Leave an inch margin from all the sides. The salary negotiation letter should be balanced and appropriate as it is to be presented to the boss of the company. The letter should be started with the cordial statement like “respected sir, kindly allow me to express my pride for working in company for so long. I appreciate and adore the way the company has thrown potential challenges to me and made me efficient enough to handle them.” Do not throw the stone on the boss by writing like “I want you to increase my pay as soon as possible.” Just be polite in your writing. Whatever you have accomplished till now, just write everything down. You should know the way of writing your own accomplishments. The bosses are not always aware of the achievements so it is your duty to make them aware by writing to them. On seeing various contributions of yours for the company, he or she will certainly consider you an asset of the company. Highlight all the good and hard work you did for the company and also demonstrate that you deserve more money than before. Your boss might not be aware of the industry standards and also you might be getting less pay than the industry standards. So, it is your duty to bring to the forefront the rights you deserve. The letter must be presented with the research done on the condition of the market and the pay of the employees at your level. Maybe the boss comes to know that what you deserve is more than what you are getting right now. So, it will be better to involve the research work done on the company’s standard norms. State what your expectation are from the company. The proposal must clarify what are your expectations from the company. For Example, if you want an increase in the salary package or increase in the annual performance bonus or more benefits and higher sales commission you want. Just state clearly what you want to get from the company. If your letter will directly say what you wish to have like increase in salary, then it will create more impact than writing lengthy essays in the letter. Just mentioning the increase in sales will not do any good to you. You will have to mention clearly what your exact figure for the rise in salary is. If it is 4% increase in the salary, then mention it clearly by also comparing to the industry’s rise in value. You need to write in a professional manner like my performance in company justifies the result, it is providing, so I wish to get an increase of 4% rise in the salary, annually. Do not write anything which is not understandable to the boss or even a layman. Afterall the boss is also a common man who would like to read the simplistic proposal, as they indeed save lots of time. Just write in a simple way. Do not complicate the sentences and also do not make use of the technical jargon. Negotiating the salaries does not mean stating only your starting range from where you started, but should also accompany certain other essential factors like job requirements, the credentials, years of experience you had, where and in which company. Also start by writing from the lowest number to the highest number. Make sure if you are mentioning any numerical figures, they are correct or you will land in trouble. It will affect your image if the numbers mentioned go wrong. While you write the whole proposal plan, look at the proposal once before finalizing so that there are no grammatical errors in it. Grammatical errors in the compensation proposal will let your image down and can raise questions over the number of experience you have gained. So, do not give any chances to the boss to find out mistakes regarding your proposal. If you find any doubt then consult anyone from among you who is an expert and knows the knack of writing professional proposals. The bosses usually are not free to go through the whole essay that you write. So, it is better for you to be specific and write up to the mark. Do not write anything extra that diverts the attention. If you wish to have an increase in certain percent, rise in the present salary then just directly write down that without creating any roundabouts in the lines. First, see how much money you make, then see how much did you make last year and then do the comparison between the both. Investigate in the field regarding the amount being paid to the other employees at your position in the company. If you are not able to collect the exact data, then ask the company’s payroll department to provide you financial history of yours at a job and it will help you out much more. Positive feedbacks include, the better performance reviews, customer feedback, praise worthy statement by any senior in the company, or anything which boosted your morale must be kept with you as a record so that you can cite them into your compensation plan. Not every company gathers information regarding the regular performance of the employees, but if your company does, then go ahead by mentioning the appraisals you get. 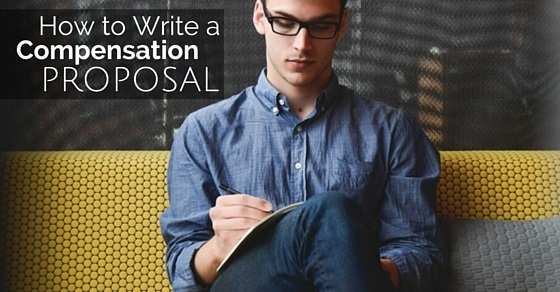 Remember not to write any negative feedback, just write down the positive one’s into the proposal. You need to make use of the kind words while writing a salary proposal. Being harsh will only affect your image and will somehow affect on the result of the proposal being sent to you. So, while keeping in mind the kind words, use simple and short sentences to express the desires and wants regarding the salary. Time should also be one of the considerations while compensation plan writing. This is because you never know what the company is going through. Maybe, the company is going through some financial imbalance and is not in the position of paying you the extra or increase in the salary or maybe the time is the busiest time of the year and the boss is busy, hence could not refer to your proposal well and consider your request. Also, you will have to consider the mood of the boss. If you think the boss is in a happy mood and will ponder over your request, then write to him or her otherwise do not write to the boss, else your request will be ignored. So, taking timing into the account is very important. Sometimes it become difficult for the company to cater to what you desired for, so in that case, you will have to mention the alternatives like the increase in other additional benefits etc. This is done in the case if you do not want to get out of the pool completely, then you can demand for the compensation like for the additional benefits and so on. Other than this, it may include the education benefits, childcare, pension plans, health insurance, sick days and so on. So, above are some of the points that one must keep in mind while writing for the proposal. It is important to write a compensation plan in a professional manner as it also forms part of the personality of the employee, it presents the efficiency of the communication and presents forth the skills of writing, which indeed are needed by the professionals.